It is possible with 1.7.10 or lower and MCP or Optifine (mostly every player has) to add textures to blocks you couldn't use before (e.g. stone with meta data value of 10). 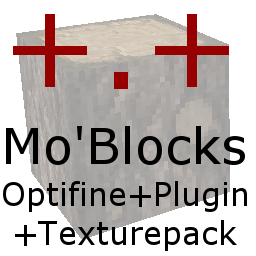 You may know the MetaCycler plugin, so this plugin allows you to craft all these blocks in survival and to use them on your map. use.Conquest - should the plugin set the behavior of the basic blocks to them of Conquest? use.Addons. (butter, cheese, sandwiches, ...) should these additional recipes be added? actions.dropsInCreativeMode: should the special blocks be dropped in creative? Is this possible to do with Minecraft 1.8 or is that out of the question?